Michael A. Hartmann - Welcome to my World! 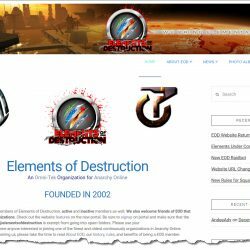 Elements of Destruction is a website for An Omni-Tek Organization for the MMPORG Anarchy Online by Funcom. This portal is for the Anarchy Online Community for the development and support of VhaBot NextGen. 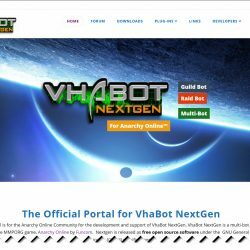 VhaBot is a multi-bot that is used in the MMPORG game, Anarchy Online by Funcom. Vhabot Nextgen is released as free open source software under the GNU General Public License (GPLv3) specifications.